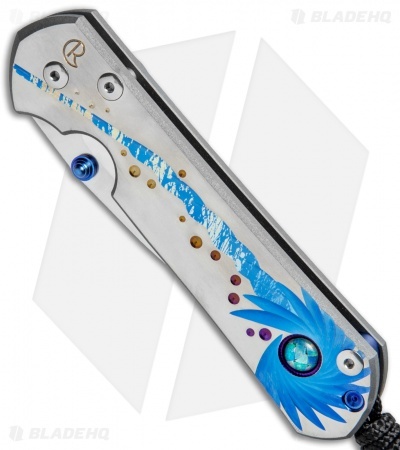 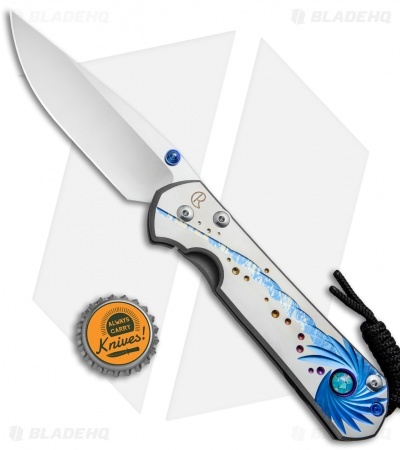 This Large Sebenza 21 features a satin finished titanium handle face with a Unique blue pinwheel design and an Opal Mosaic Triplet Cabochon. The frame lock and pocket clip are bead blast finished with a blue anodized thumb lug and spacer. 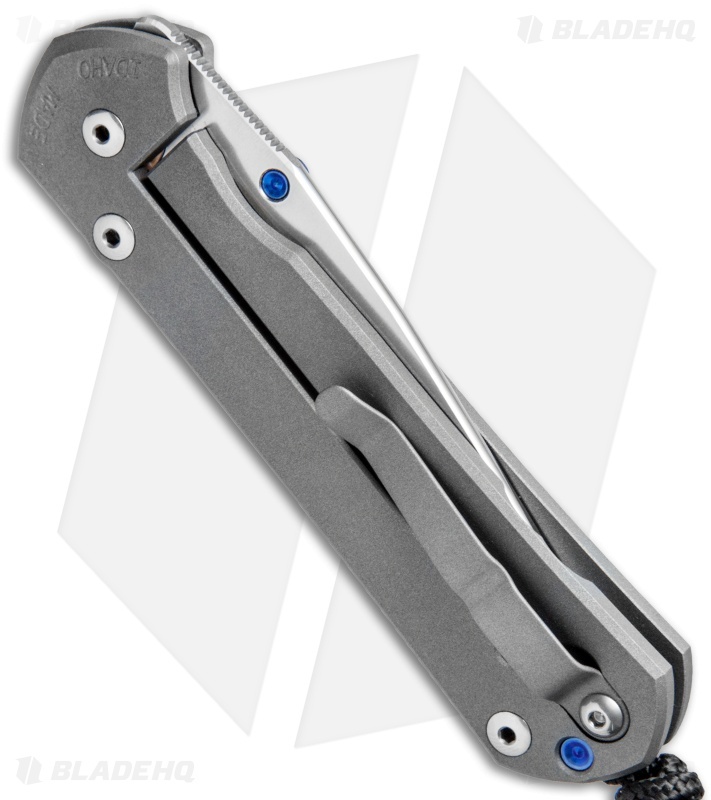 This Sebenza has a satin finished S35VN stainless steel blade. Includes lanyard and leather pouch. This model was completed on July 17th, 2017. 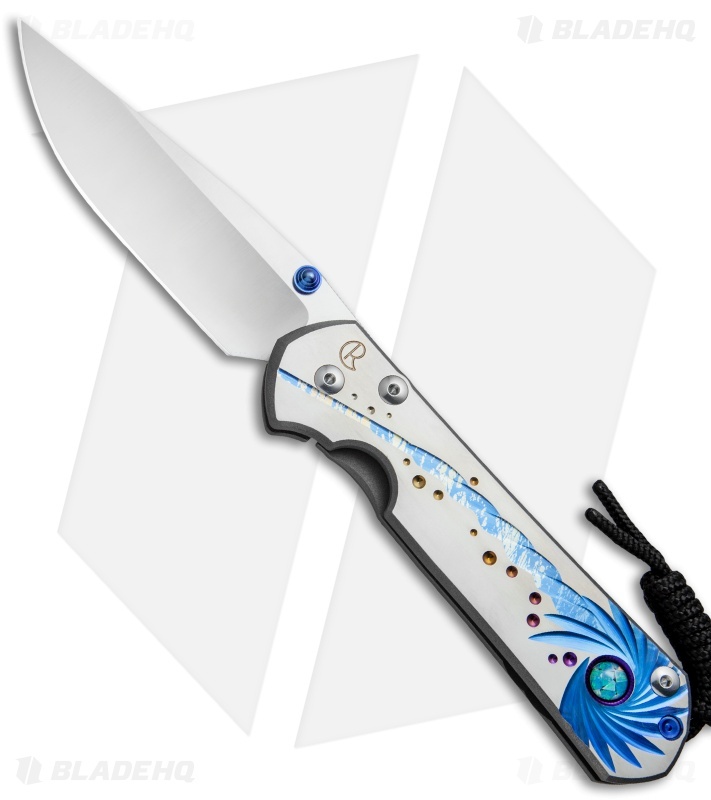 The Unique Graphic on this Sebenza is one-of-a-kind! Similar designs can be ordered, but they are all individually created.